Distinguished by British magazine Monocle as one of the world’s five best shops for interior design, Pur Norsk is at the forefront of innovative expressions powered by a Nordic feel. Translated to “Purely Norwegian”, this conceptual shop puts Norwegian products on the map while appealing to a wide international audience. It’s time to fully embrace the excellence of Norwegian design – it’s here to stay. As their own kind of ambassadors for Norwegian culture and design, Marianne Lien and Lasse Altern Halvorsen specialise in exclusive interior products and homeware that have been designed and/or produced in Norway. The furniture and merchandise are characteristically Scandinavian in style, incorporating clean-cut features and clear, bright colours, presented in equally neat and appealing spaces. Particularly noteworthy about Pur Norsk is the meticulous attention to – and care for – functional details. Lien and Halvorsen are proud creators of the Abel shelf system, a uniquely Norwegian design that lets you decide for yourself how you wish to position your shelves. 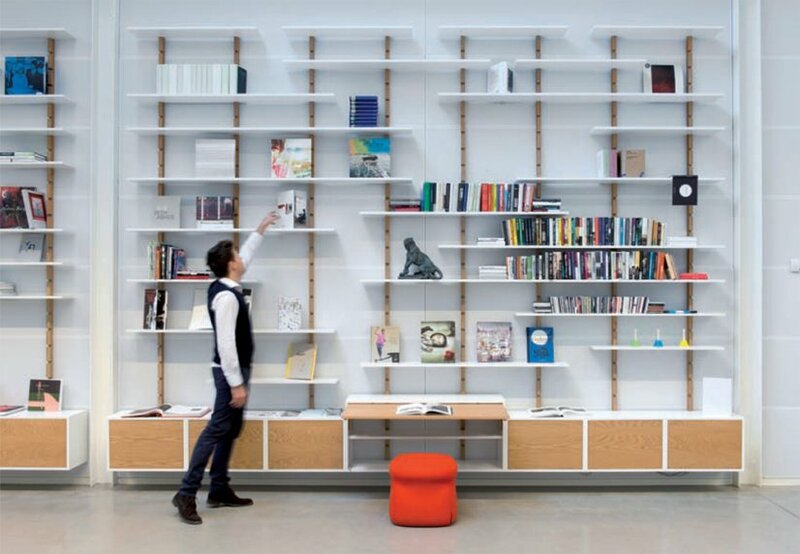 Having developed a construction where shelves are attached to the wall without using screws or other loose fixtures, Lien and Halvorsen were able to facilitate a new kind of flexible, urban living – leading the way forward with a notable example of innovative currents in the Norwegian design industry. “We understood that there was a market for a flexible shelf system that could meet people’s differing needs. There was no Norwegian product we could incorporate into the shop that filled these requirements, so we decided to design one of our own,” says Halvorsen. The ingenious simplicity behind the construction has earned Pur Norsk the Norwegian Design Council’s Award for Design Excellence. Anticipating Abel’s rise to an iconic status in Norwegian design, particularly due to the product’s commercial potential, the Council adds to a long line of positive voices praising the initiatives of the design collective. And slick design solutions are not the only features earning praise. The national focus is an aspiration at every level of the design process – all the way through to environmental concern. “There are several benefits that come with producing everything in Norway. It gives us a proximity to the product, but it also means that we don’t put the environment through unnecessary transport,” says Lien.